SpotOn is a full-featured loyalty and marketing platform. It features an analytics dashboard, marketing tools, a turnkey loyalty program, online reviews access, a mobile app, and more. In this article, we cover its user reviews and pricing. 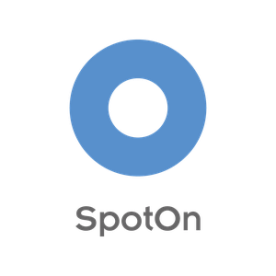 Ready to get started with SpotOn? Request a demo. Users who gave SpotOn a positive review like that the platform seamlessly integrates marketing, loyalty programs, and payments. They also reported that the company also offers free equipment as well as the best processing rates. One user who gave SpotOn a positive review on Yelp said that it helped his business grow exponentially with their marketing platform. He also commented that they have the best credit card processing rates as well as a reliable connection with customers through social media, mobile, and even email. Users who gave SpotOn a negative review complained about the company’s billing system and some features that are not working. They also raised issues about the inefficient customer support that they experienced. One user who gave SpotOn a negative review on Yelp is very disappointed with the unresponsive customer support when he had so many billing issues like double charging. He also mentioned that the Poynt system does not work as promised. SpotOn offers two basic pricing plans: SpotOn with payments ($25/month) and SpotOn Software Only ($195/month). The main differences between the plans include access to premium features such as payment hardware, loyalty, and appointments. Users may choose between a preferred payment processing rate with 1.89%+15 cents or custom payment processing rates with 2.99%+ 15 cents (corporate, international, AMEX, or keyed cards). They also offer a fully-integrated POS system at an additional fee ranging from $15-$65/month with a one-time setup fee. Customers have to download the SpotOn app to manage their loyalty points. This app has the same appearance for every business and can technically be used for multiple businesses at one time. SpotOn can also be used with loyalty cards. These are plastic credit card-shaped cards that are scanned to earn points and check their balance. Ready to get started with SpotOn? Request a demo. 6 Best Loyalty Program Software 2019 — Loyalty programs are structured rewards or marketing programs used by retail businesses to encourage shoppers to continue buying. In this guide, we compare top-rated programs focusing on price, ease of use, and features to determine the best overall loyalty software for small businesses. What payment processing terminals does SpotOn offer to users? SpotOn offers SpotOn Poynt, SpotOn Register, and SpotOn Restaurant to reach more customers that will enjoy their loyalty program. Does SpotOn offer useful resources to support beginners? Yes. Users can avail of their FAQs, guides, and video hub to assist beginners as they explore SpotOn and experience its benefits. Not sure if SpotOn is the right fit for you? Read our reviews of all top customer loyalty rewards program software providers or check out one of these three SpotOn competitors.